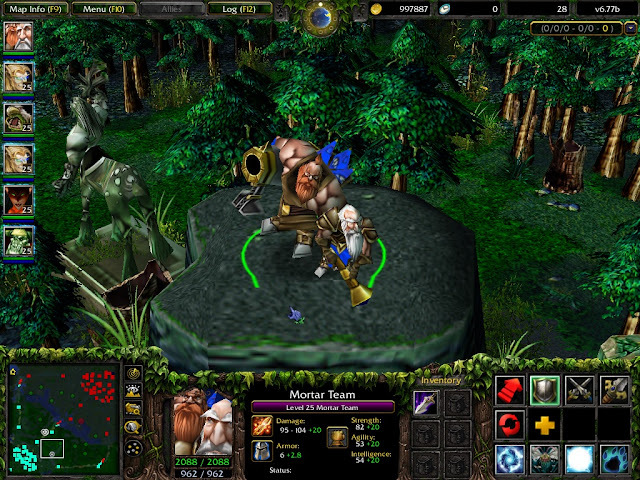 DotA 6.77b Hidden Heroes Leaked! 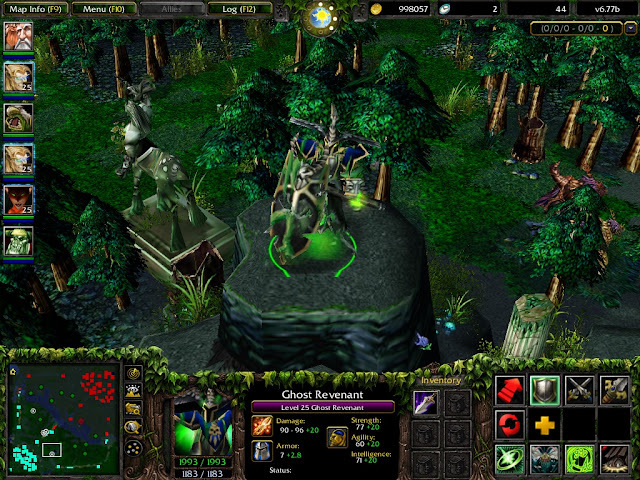 The hidden heroes inside the DotA are finally unveiled. 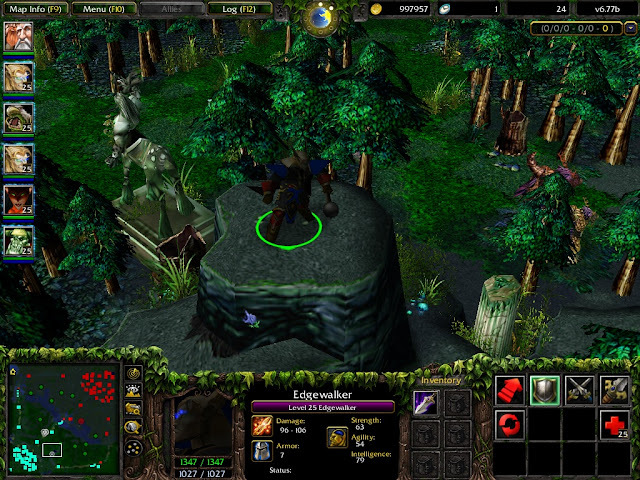 An avid player, Siraraz from PlayDota forums has made a remarkable discovery while digging through data dumps of official v6.77b. He found the references (unit data) to unused heroes in the current map and made them accessible by entering a command. There are total 6 heroes found with their complete skillset and they seem pretty well balanced too. Here are the unlisted heroes along with their spell details which are waiting to be included in next version, DotA 6.78. If you are looking to play them, you can check the bottom of this post for map download. Rushes towards target point up to x range away, but stops at the first enemy unit it makes contact with, stunning and dealing damage. This skill seems to be blocked by trees. Exhaustion: Reduces the MS of all enemy units on the map to 100. Siege Form: A skill that toggles between two forms: base hero and Siege form. The toggle has a 4 second CD. Reduces ms of the Mortar team to 100 but also increases attack damage by 50/100/150 and raises attack range to 1000/1250/1500. The Mortar Team can be made to attack ground, and all attacks hit in an AoE. When we tried to test orbs with this attack, the game crashed. 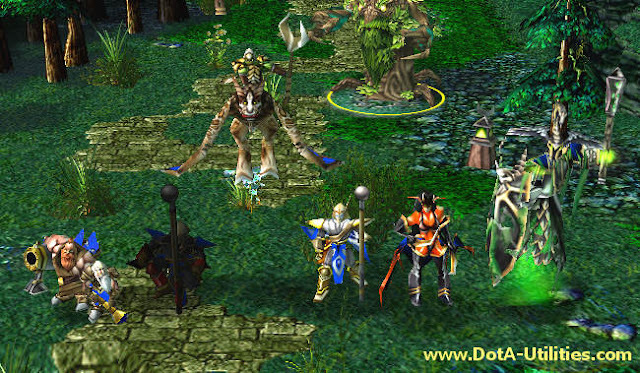 • Download the .w3x map file and put it inside "Warcraft III\Maps\Download" folder in order to play. Note: You need to enter "-clear" command in game to spawn heroes. They will appear in the middle of the map. 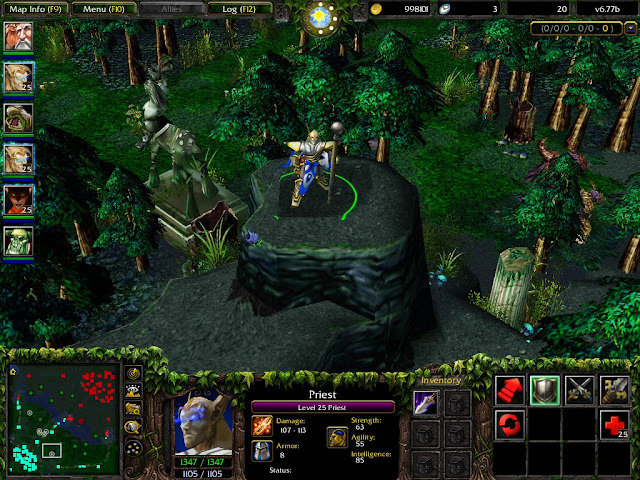 It looks like IceFrog has not forgotten about the potential of unused Warcraft 3 models in DotA. These heroes especially Mortar Team can be a great addition in the upcoming new map. All they need is some proper spell animation and icons. What do you think about it? Share your views via comments! is this the same map as the getdota map? I'm waiting for Cyborgmatt review, great news!!! it would like the the gryphon rider to be included in new map.. they are so cool. It heard that all 6 heroes were added in at 6.73a. I don't know why or even the reasoning. 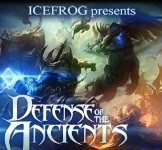 Perhaps IceFrog simply forgot to remove them from the beta. Some of these are awesome! I think Ghost Revenant and Edgewalker should be combined, I love Edgewalkers design, and Wraith from Ghost Revenant seems much more fitting for the character then Deathwatch, as well as having better synergy with his skillset. Deathwatch is an interesting ability, but does not fit Edgewalkers design really, whereas Wraith would match Edgewalker's indirect control style of limiting his opponents, in this case by removing the ability to physically attack him, though he can't attack himself and is more vulnerable to magic strikes, so he has to try and use Haunting Echoes to prevent them from casting and taking advantage of that. I wish Reality Shift was a moderate to short range aoe, instead of a ward, it seems much more befitting of the character, in that you want to be casting near opponents to take advantage of Fatal Attraction, meaning actively casting rather then setting wards, more like sticking on top of your opponent rather then heckling or laying traps from afar. holy dragonhawk's voice@_@ so manly yet have a women's body??? what is the command key? any mode how to control 5 heroes in one ? i see new hero...., great. what about the orc grunts?!.. they are cool too! yeah, what about the turtles. the giant turtle. and the drum carrying hero. ? nice.... but how do we unleash that particular heroes? I wanna to play this game immediate! Nice sharing! I think, the skills needs some reworks. 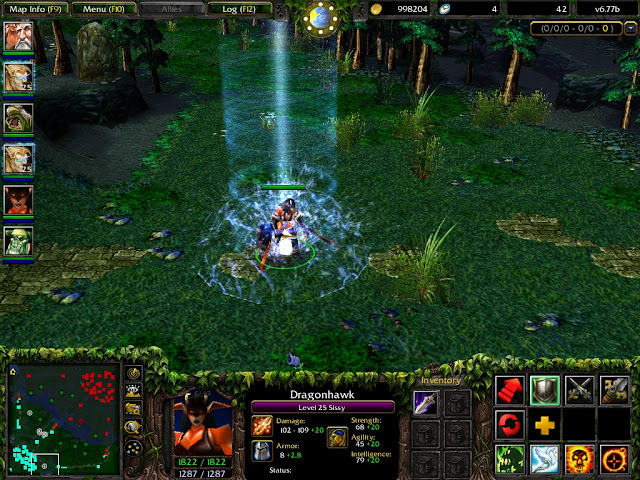 the skills are so "IMBA"
guys dota 6.77b AI official is now released. thank you I like it but what item should I biuld to dragonhawk??? how to ply those hero? enter what command? I Like Wyvern Outsider Spells..
the stone golem model is good also to make..
and also the Jungle Stalker..
(Jungle stalker (Sasquash) is the most fittest model for the Wyvern Outsider Spells.. I thnk Backstab is xo suitable for Huskarrrrrr !!!! 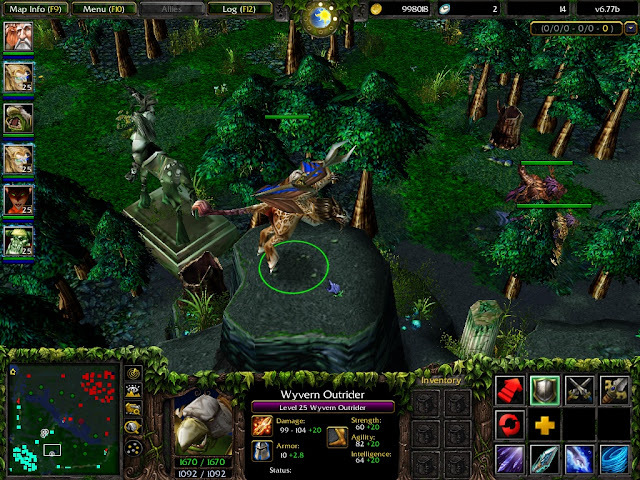 I like Wyvern Outsider skills... IMBA..
And what about the Undead grunt you have in list of heroes? do you have AI version of this?? i can't see my c0mment?